The Big Quiz Thing: NYC recap: Ladies' Night, and oh, the feeling was right! NYC recap: Ladies' Night, and oh, the feeling was right! Okay, wow, thank you for helping to make our first Ladies' Night such a smash, despite the horrible inconvenience of clean water falling from the sky. It was an absolute pleasure to be back at the Highline Ballroom (how many techs does it take to screw in a projector lightbulb? you found out preshow), and to have all of you there sharing in this…um…unique quiz show experience. So, did I blurt out anything sexist? Did Bex and DJ GB keep me in line? No angry postshow mobs outside on 16th Street, so I feel pretty confident about it. One thing I neglected to mention onstage was how stunning good many of you were at our video round, "Oscar Loves Women." A full 22% of teams got a perfect score, including bonus questions, and several others were within spitting distance. "Scream, Singer, Scream," the audio puzzle, was slightly more challenging, with no perfection (one team got 19.5 out of 20); maybe next time I'll throw in he more obvious choices of Janis Joplin and Aretha Franklin. And the "Suffragette City" four-parter was loads of fun, with the big old-school-feminist/superheroine mash-up in full effect. 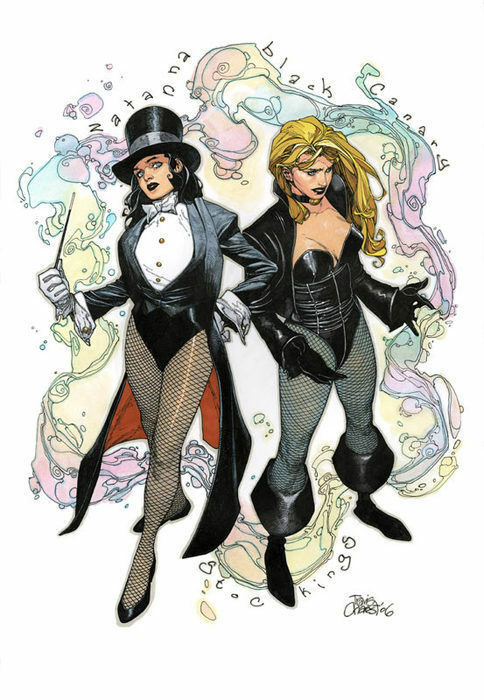 The point of order about the physical differences between Black Canary and Zatanna was very well taken, and warns me what a challenge we have ahead of us satisfying the crowd at New York Comic Con next month. Shout-out time: Didn't Claudia Cogan kill as our comedy opening act? It got me thinking whether some comedy-comedy could be a more regular staple of BQT events. What do you think? 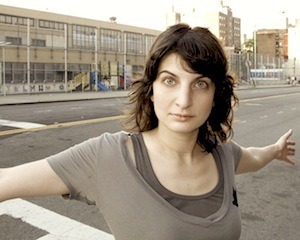 Eight minutes of actually non-sucky stand-up pre–every show? Share your thoughts on that oracle of all thought and feeling, Facebook. A word about the crowd tonight, which leads me to the all-female, buzzertastic Three-Way Finale. When people asked me why I wanted to do a Ladies' Night, my easiest response was, "Because every other quiz show is Men's Night." Basically, I got tired of seeing far too many men at my events, and I'm always looking for a way to expand the BQT's audience. So I was very gratified to see so many new faces this evening. And indeed, one team of newcomers made it into the finale: Not Here to Make Friends (I liked the combative attitude, and the somewhat-appropriate reference to reality TV). It was them—represented by a woman, of course—with two teams of regulars: Cash Cab for Cutie (alternately known tonight as Cash Cab for Boobies, Kotex for Cutie, Life Facts for Tootie and, uh, Gash Cab for Cutie) and Incontinental Men and the Women Who Love Them (who just happened to be reigning champs from the last regular NYC BQT). The finale was my opportunity to whip out my one Sailor Moon question (had to do it), then a little Judy Chicago, then the founder of Weight Watchers, and our Incontinental lady claimed victory with her copious knowledge of the successive female hosts of the Today show. And thus the Men's Night winners become the Ladies' Night winners. Will we do it again? Let me know what you think. Personally, my new decision-making process for BQT special events is to ask, "Is anyone other than me eager for this to happen?" So answer if you feel so compelled. Next: We're back on the biweekly-Mondays schedule: September 19 at M1-5 in Tribeca, then October 3 at Hill Country BBQ, then October 17 at M1-5, and then October 31—oh, yes, Halloween—at Hill Country again. Plus, an abbreviated event at Comic Con on October 15, and Boston and L.A., and possibly your office party. Thank you, ladies, for making my life worth living.